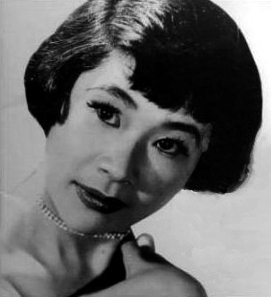 Japanese Americans (日系アメリカ人, Nikkei Amerikajin?) are Americans who are fully or partially of Japanese descent, especially those who identify with that ancestry, along with their cultural characteristics. 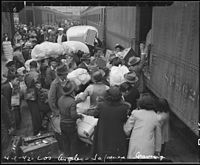 Japanese Americans were among the three largest Asian American ethnic communities during the 20th century; but, according to the 2000 census, they have declined in number to constitute the sixth largest Asian American group at around 1.4 million, including those of partial ancestry. According to the 2010 census, the largest Japanese American communities were found in California with 272,528, Hawaii with 185,502, New York with 37,780, Washington with 35,008, Illinois with 17,542, and Ohio with 16,995. 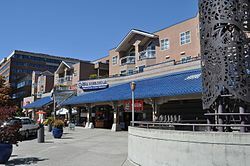 Southern California has the largest Japanese American population in North America and the city of Torrance holds the densest Japanese American population in the 48 contiguous states. </div> </div> A Japanese school opened in Hawaii in 1893 and other Japanese schools for temporary settlers in North America followed. In the years prior to World War II, many second generation Japanese American attended the American school by day and the Japanese school in the evening to keep up their Japanese skill as well as English. Other first generation Japanese American parents were worried that their child might go through the same discrimination when going to school so they gave them the choice to either go back to Japan to be educated, or to stay in America with their parents and study both languages. Anti-Japanese sentiment during World War I resulted in public efforts to close Japanese-language schools. The 1927 Supreme Court case Farrington v. Tokushige protected the Japanese American community's right to have Japanese language private institutions. During the internment of Japanese Americans in World War II many Japanese schools were closed. After the war many Japanese schools reopened. A large number of the Japanese American community continue to practice Buddhism in some form, and a number of community traditions and festivals continue to center around Buddhist institutions. 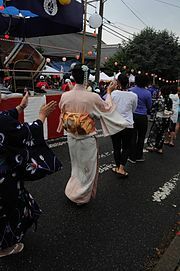 For example, one of the most popular community festivals is the annual Obon Festival, which occurs in the summer, and provides an opportunity to reconnect with their customs and traditions and to pass these traditions and customs to the young. These kinds of festivals are mostly popular in communities with large populations of Japanese Americans, such as Southern California and Hawaii. 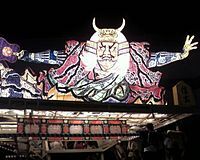 It should be noted however, that a reasonable number of Japanese people both in and out of Japan are secular, as Shinto and Buddhism are most often practiced by rituals such as marriages or funerals, and not through faithful worship, as defines religion for many Americans. See also: the categories Japanese-American internment films and Japanese-American internment books. ^ a b "ASIAN ALONE OR IN ANY COMBINATION BY SELECTED GROUPS: 2017". U.S. Census Bureau. https://factfinder.census.gov/faces/tableservices/jsf/pages/productview.xhtml?pid=ACS_15_1YR_B02018&prodType=table. Retrieved 8 November 2018. 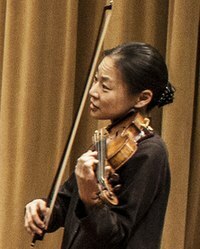 ^ "Asian Americans: A Mosaic of Faiths". Pew Research Center's Religion & Public Life Project. July 19, 2012. http://www.pewforum.org/Asian-Americans-A-Mosaic-of-Faiths-overview.aspx. Retrieved March 17, 2015. ^ "Japanese Americans - Pew Forum on Religion & Public Life". http://projects.pewforum.org/2012/07/18/religious-affiliation-of-asian-americans-2/asianamericans_affiliation-9-2/. Retrieved March 17, 2015. ^ Data Access and Dissemination Systems (DADS). "American FactFinder - Results". http://factfinder2.census.gov/faces/tableservices/jsf/pages/productview.xhtml?pid=DEC_10_SF1_QTP8&prodType=table. Retrieved March 17, 2015. ^ "Redirect". http://proximityone.com/cen2010_asian.htm. Retrieved March 17, 2015. ^ "Toyota built Torrance into the second-largest home of Japanese Americans. Now, it's leaving". http://www.pri.org/stories/2014-05-16/toyota-built-torrance-second-largest-home-japanese-americans-now-its-leaving. ^ "Civil Liberties Act of 1988". Archived from the original on January 17, 2012. https://web.archive.org/web/20120117233635/http://www.civics-online.org/library/formatted/texts/civilact1988.html. ^ "Euphemisms, Concentration Camps And The Japanese Internment". https://www.npr.org/sections/ombudsman/2012/02/10/146691773/euphemisms-concentration-camps-and-the-japanese-internment. ^ Le, Cuong. "Socioeconomic Statistics & Semographics". http://www.asian-nation.org/demographics.shtml. Retrieved 2012-04-17. ^ Brian Niiya (1993). Japanese American History: An A-To-Z Reference from 1868 to the Present. VNR AG. p. 28. ISBN 9780816026807. https://books.google.com/books?id=QZg6Ft_jvJ0C&pg=RA1-PA28. ^ Hans Joachim Hillerbrand (2004). The Encyclopedia of Protestantism. Taylor & Francis. p. 197. ISBN 9780203484319. https://books.google.com/books?id=4bnvbTel4Y4C&pg=PA197. ^ Robert A. Orsi (1999). Gods of the City: Religion and the American Urban Landscape. Indiana UP. p. 299. ISBN 0253212766. https://books.google.com/books?id=e8k4fESOsYAC&pg=PA299. ^ Wong, Junn, Lee, Ramakrishnan, Janelle, Jane, Taeku, S. Karthick. "Race-Based Considerations and the Obama Vote". 2008 National Asian American Survey. http://www.naasurvey.com/publications_assets/NAAS%20DBR%202009.pdf. ^ "Making sense of DNA data and the origins of the Japanese" (in en-US). Heritage of Japan. 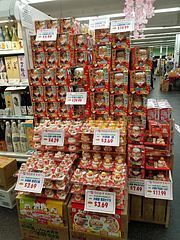 2009-02-27. https://heritageofjapan.wordpress.com/yayoi-era-yields-up-rice/who-were-the-yayoi-people/making-sense-of-dna-data-and-origins-of-the-japanese/. ^ "Genetic structure of the Japanese and the formation of the Ainu population". http://jspsusa.org/FORUM2012/presentation/3-2_Shinoda.pdf. ^ "Jomon Genes Using DNA, researchers probe the genetic origins of modern Japanese". http://www.pitt.edu/~annj/courses/notes/jomon_genes.html. ^ "Genetics of the Metabolic Syndrome in Japanese Americans - Full Text View - ClinicalTrials.gov". https://clinicaltrials.gov/ct2/show/NCT00005374. ^ Zhong, S (1996-06-15). "Increased coronary heart disease in Japanese-American men with mutation in the cholesteryl ester transfer protein gene despite increased HDL levels.". Journal of Clinical Investigation 97 (12): 2917–2923. DOI:10.1172/JCI118751. ISSN 0021-9738. PMID 8675707. ^ Austin, Melissa A. (2002-04-01). "Ethical issues in human genome epidemiology: a case study based on the Japanese American Family Study in Seattle, Washington". American Journal of Epidemiology 155 (7): 585–592. DOI:10.1093/aje/155.7.585. ISSN 0002-9262. PMID 11914185. ^ a b Felando, August (Winter 2012). "The Origins of California' High-Seas Tuna Fleet". Journal of San Diego History 58 (1). ^ Western Canner and Packer. Miller Freeman Publications of California. 1922. p. 36. https://books.google.com/books?id=2S0dAQAAMAAJ&pg=RA10-PA36. ^ Andrew F. Smith (2012). American Tuna: The Rise and Fall of an Improbable Food. University of California Press. pp. 63–69. ISBN 978-0-520-26184-6. https://books.google.com/books?id=AR_Zq_GIHtAC&pg=PA63. ^ "San Diego Marine Construction, San Diego CA". 27 June 2014. http://www.shipbuildinghistory.com/history/shipyards/5small/inactive/sandiego.htm. ^ Gary P. Priolo (14 February 2014). "YP-264". http://www.navsource.org/archives/14/31264.htm. ^ "A Marker of the Past, a Warning for the Future" (in en-US). The Argonaut Newspaper. 2017-05-04. http://argonautnews.com/a-marker-of-the-past-a-warning-for-the-future/. ^ Stone, Cal (April 11, 2013). "State's Japanese employees increasing". Observer & Eccentric (Detroit). Archived from the original on May 5, 2013. https://www.webcitation.org/6GOjzZP9S?url=http://www.hometownlife.com/article/20130411/NEWS13/304110352/State-s-Japanese-employees-increasing. Retrieved May 5, 2013. ^ "Japanese Superstore in New Jersey Offers Exotica, From Katsu to Kitsch". November 23, 2016. https://www.nytimes.com/2016/11/23/nyregion/japanese-superstore-mitsuwa-marketplace-nj.html. ^ June Casagrande (December 2004). "Holiday Heritage". Orange Coast Magazine 30 (12): 174–176. ^ "Archived copy". Archived from the original on December 20, 2009. https://web.archive.org/web/20091220054641/http://www.sfjapantown.org/About/. Retrieved 2011-08-10. ^ "D.C. region’s Asian population is up 60 percent since 2000, census data show". The Washington Post. https://www.washingtonpost.com/local/dc-regions-asian-population-is-up-60-percent-since-2000-census-data-show/2011/05/25/AGvgndBH_story.html. ^ Niiya, Brian (1993). Japanese American History. Japanese American National Museum (Los Angeles, Calif.): VNR AG. p. 307. ISBN 0816026807. https://books.google.com/books?id=QZg6Ft_jvJ0C&pg=PA307. ^ "NOAA and the Preserve America Initiative". http://preserveamerica.noaa.gov/week06/shimada_bio.html. ^ "NOAA Honors Nisei with Launch of Fisheries Vessel "Bell M. Shimada"". https://www.nvcfoundation.org/newsletter/2008/12/noaa-honors-nisei-with-launch-of-fisheries-vessel-bell-m-shimada/. 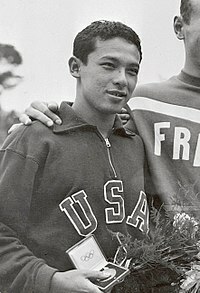 ^ ""...First male Japanese-American TV anchor in Los Angeles local TV News."" (in en). http://a.abclocal.go.com/kabc/bio?section=resources/inside_station/newsteam&id=5744051. "United States Census 2000". United States Census Bureau. April 2000. https://www.census.gov/main/www/cen2000.html. Retrieved 2007-03-16. Kono, Hideto (2000). "Observations of the first Japanese to Land in Hawai‘i". The Hawaiian Journal of History 34: 49–62.